What's the colour of grass? 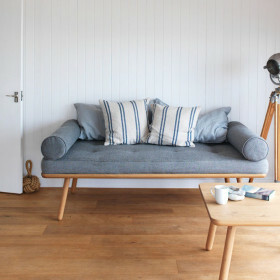 Escape to a nautical adventure right on Chesil Beach. This is the Jurassic coast, but there are no dinosaurs here. 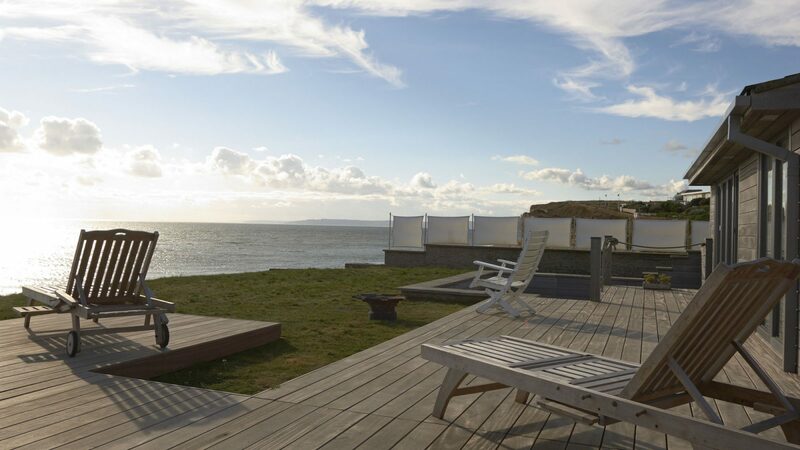 Just a whale of a time with spectacular views, a cracking cafe on the beach and a hidden hot tub. Breakfast on the beach can be yours every day on an adventure holiday that’s as nautical as a pirate’s parrot. 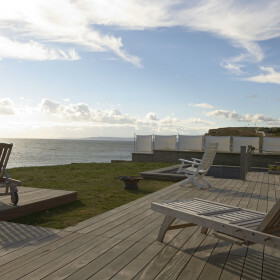 Built on the rocks at Burton Bradstock overlooking Jurassic Chesil Beach, this is a view that comes with a house attached. Big skies and big seas abound. Big walks beckon. 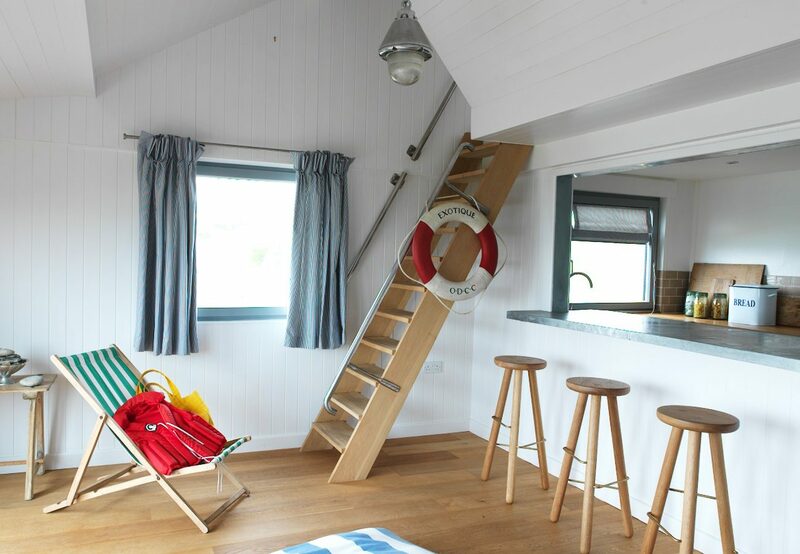 Inside, lifebelts, nautical-themed bedrooms and washed clapboard walls offer a hint or two that Chesil Beach House is a seagoing treasure. Outside, things are less subtle. The briny air, sea mist, crashing waves and powdered sand make a fine front garden. 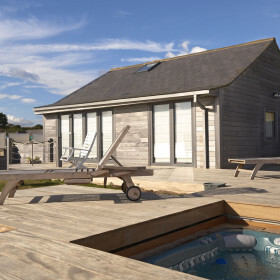 Enjoy those views with a glass of bubbly in the hot-tub bubbles. 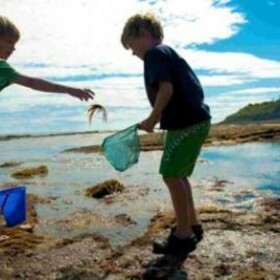 For the kids, Chesil is all fresh air and fishing, crabs and sea anemones in the The Fleet Lagoon. 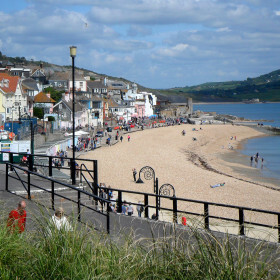 Down the road is Lyme Regis, perfect for windsurfing and water-skiing and home to crystal-clear waters that demand a dip. In the evenings, summon up our chef, potter the harbour at Lyme Regis, sink some oysters at Hix or down a pint of Jurassic Ale in The Anchor. 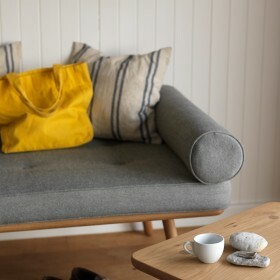 At Chesil, life’s a beach, so pack your cool box and picnic blanket. 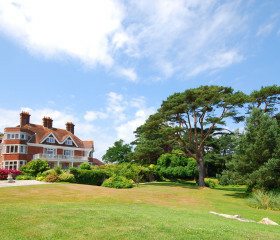 Enjoy stunning views across the sea and the beach as your back garden. Fancy a bite to eat? 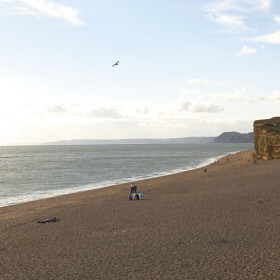 Just stroll to The Hive Beach Cafe, one of the best beach cafes in the country. 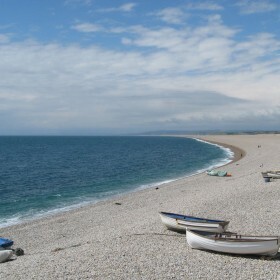 You are perched right above Chesil Beach, an 18 mile long natural wonder. Children will love spending the day searching for fossils and collecting driftwood to make their own works of art once back at base. 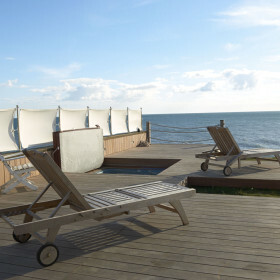 A hot tub sits under the terracing and is a magical place to sit as the night draws in and the beach becomes your own. 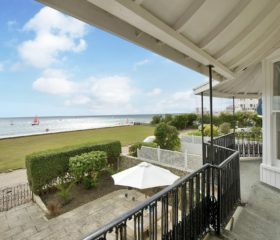 Enjoy the stunning sea views from the sitting room. 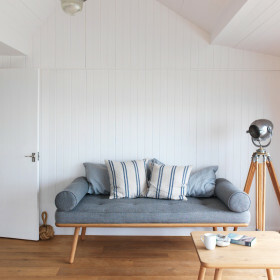 Comfy sofas and deck chairs make this a great spot for relaxing with friends and family after a long day at the beach. 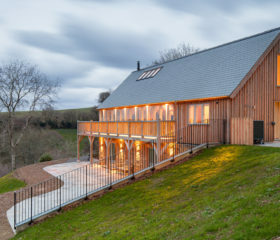 The terrace is a natural extension of the house, perfect for dining out or relaxing. 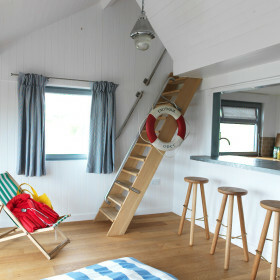 There are three nautical bedrooms. The master bedroom for the grown ups has fantastic views and is perfect for relaxing. 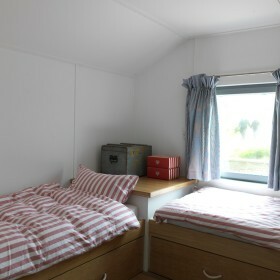 There is a twin bedroom with extra ‘truckle’ bed which is best for the kids. 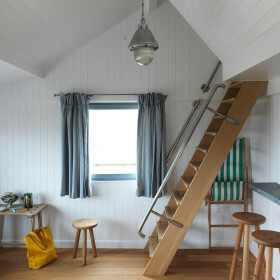 There is also a double bed upstairs and a fold out futon. 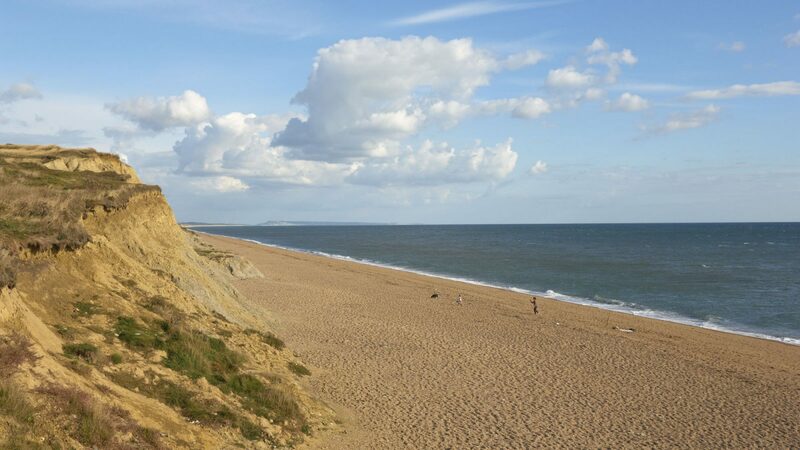 Hunt for fossils and driftwood, catch a crab, see the swans, and explore the coast. 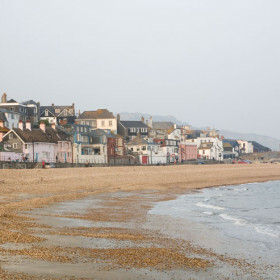 Potter the harbour and shops of Lyme Regis and sink an oyster or six at Hix.